Talking Turkey : a fowl (or foul) affair ? It’s that time of year again when all talk turns to turkey. However, I must admit I have mixed feelings about the “national bird.” In my decades long association with Thanksgiving, I have both feasted on spectacular fowl, and, on occasion, have been subjected to very foul experiences. On the one hand, Thanksgiving is a holiday of which I have very fond sensory memories, particularly of being awakened on that special morning by the delicious redolence of a butter basted turkey roasting in the oven. My mom was artfully adept at marrying the classic all-American recipe for roasted turkey with a nod to her ethnic heritage by creating a bread dressing that featured chestnuts and spicy Italian sausage. That she was able to bridge this culinary and cultural gulf and please both ardent WASPs as well as charter members of the Son’s of Italy was probably influenced by her desire to please my father – a gentle wood tick from the mountains of West Virginia who, before he met my mother, thought black pepper was an exotic spice. And to be fair, some of my negative experiences involved positives. Do I speak with forked tongue? Well, not really, because sometimes the turkey would be cooked to perfection and the dressing would be inedible – or vice versa. But why can’t everyone get it right – like my mother. Well, let’s be honest. Thanksgiving dinner is a complex undertaking (eat too much and you’ll end up in the undertaker’s complex – couldn’t resist this). Anyway, when you consider the degree of culinary minutia involved, it is understandable that something might go wrong. Preparing and properly cooking a large turkey over a period of several hours can be a daunting experience. And when folks choose to try brining or marinating and then grilling or smoking the bird, chances that something bad will happen increase dramatically. Add to that the plethora of choices for dressing along with traditional side dishes and then pumpkin pie for dessert, and about the only thing you can truly count on being good is the wine. Which brings me to the point of all of this angst over Thanksgiving Dinner: simplify your chores by preparing as many of the courses as possible ahead of time, and then stock up on both white and red wine. That way you will guarantee you’ll have a tasty vinous treat that is bound to match one or more of the items on the Thanksgiving menu. This is possible because turkey has a variety of flavors, colors and textures that can match just about any wine. Add to this, the manner in which the turkey is prepared (i.e., roasted, smoked, grilled or fried) and of the type of stuffing used, and you have a complex set of flavor components that make matching wine with the meal both easy and fun. Indeed, we should give thanks for this rare opportunity to sample several different wines with the same holiday meal. 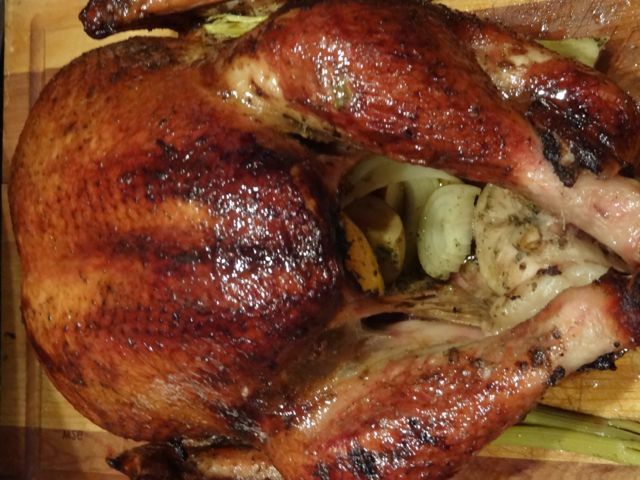 So here are a few wine recommendations to match your Thanksgiving turkey and associated dishes. The traditional oven-roasted turkey with sage-flavored dressing does wonderfully well with sauvignon blanc (St. Supery or Ladera), Alsatian riesling (Trimbach or Pierre Sparr) and gewürztraminer (Chateau St. Jean or Navarro). Red wines such as pinot noir (Domaine Serene Yamhill Cuvee or Freestone Sonoma Coast), Meritages (Falcor Le Bijou or Mercer Canyons Red Blend) and Rhone wines (Beaucastel Chateauneuf du Pape or Kermit Lynch Cotes du Rhone) will also marry well with oven roasted turkey. 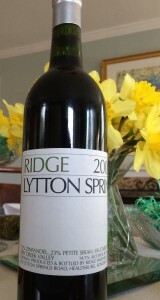 For smoked or grilled turkey with spicy dressing, I prefer fuller bodied red wines. 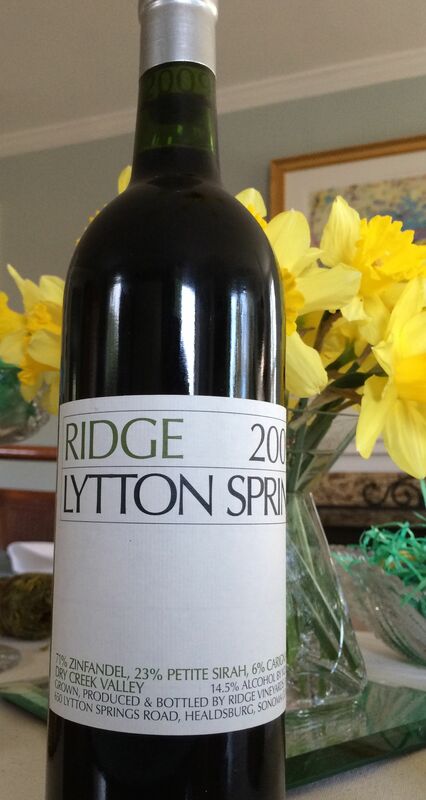 Try Ridge Lytton Springs Zinfandel, Carparzo Brunello di Montalcino or Alto Moncayo Garnacha from Spain. You might also try an intensely flavored chardonnay such as Beringer Private Reserve, Mer Soleil Reserve or Cakebread. And for dessert, I’m going to suggest a few festive sparkling wines that will pair quite nicely with that pumpkin pie and whipped cream. Try one of these invigorating sparklers: Paul Bara Champagne, Segura Viudas Brut Cava or Domaine Carneros Brut Rose.